On the weekend of August 12th, for a great number of Americans, Charlottesville, Virginia suddenly became the center of the universe. The reason for this meteoric rise in prominence and importance for this mid-sized northern Virginia city was the fact that it happened to be the inhospitable host for what had been billed and orchestrated as the “Unite the Right” event. 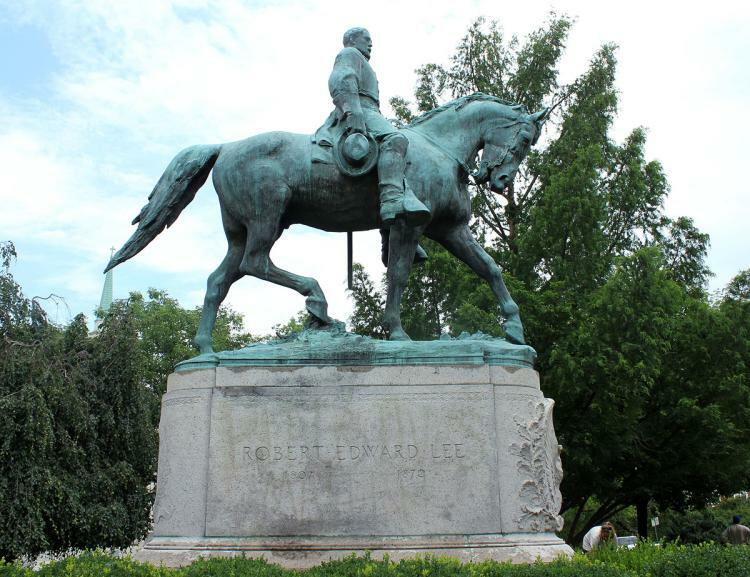 It all began when the local Charlottesville government decided in February 2016 to get rid of the statue of Robert E. Lee that had long stood as the centerpiece of the park named in his honor. Charlottesville also happens to be the home of the University of Virginia, founded in 1819 by none other than America’s third President, Thomas Jefferson. It so happens that the University of Virginia is the alma mater of prominent white racialist figure Richard Spencer, whose National Policy Institute is headquartered in northern Virginia as well. 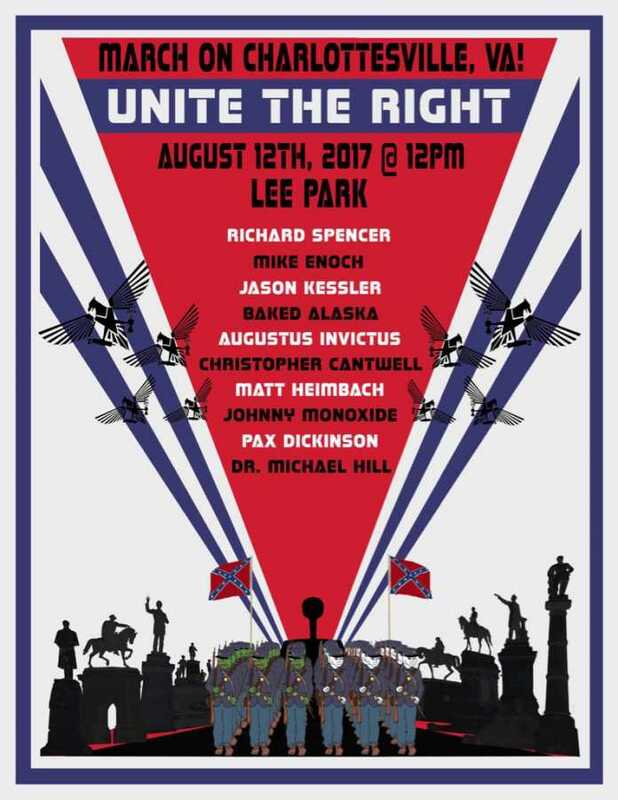 In the aftermath of this event plans began to take shape for a broader, more spectacular gathering to be marshalled under the auspices of “Unite the Right.” August 12th was the proposed date for the protest extravaganza in favor of preserving the status and presence of the Lee statue. In the meantime, litigation had successfully brought about a six-month stay of the plan to remove the statue. Additional fuel was also added to the fire by virtue of a name change whereby the facility now was to be known as Emancipation Park. On July 8, 2017, the water was further muddied by an overt, permitted KKK rally held in defense of the Robert E. Lee statue. Predictably, the radical left showed up in force for this event along with throngs of liberal, virtue-signaling counter-protesters. The Charlottesville Police performed their required duty of maintaining order and providing necessary protection for the overwhelmingly unpopular, anachronistic protesters of the KKK, who numbered somewhere around fifty. Modern incarnations of the KKK, of course, bear no resemblance to the original specimen brought forth by legendary Confederate general, Nathan Bedford Forrest, during the time of post-Civil War reconstruction. Instead, the current KKK is representative of a caricature that is routinely employed for the purpose of stigmatizing and delegitimizing the racialist cause as a whole. Overall, the July KKK rally served to further stoke the fire and provide more stereotypical optics with which to taint the racialist right as a whole in a broad-brush fashion. 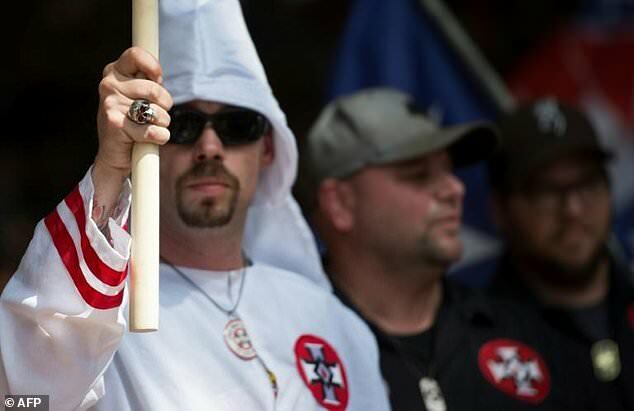 The specific KKK group credited with carrying out the July 8th demonstration was the Loyal White Knights of the Ku Klux Klan who are purportedly based in Pelham, North Carolina. In post-World War II America, the federal government has been highly instrumental in fanning the flames of neo-KKK activity. In many documented instances, undercover FBI operatives have actually provided the primary means and impetus for well-publicized KKK activism. 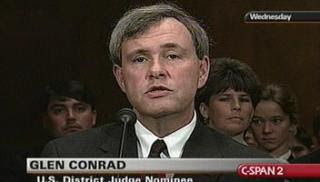 In a considerable number of cases, well-intentioned individuals have sought and basked in the spotlight of publicity under the banner and symbolism of the Ku Klux Klan. Virtually anyone can step forward as a self-appointed Grand Poo-Bah of a newly-minted KKK or Nazi entity and be guaranteed the attention and publicity that serves to feed the human ego and sense of self-importance. At times, an individual might begin his KKK career in earnestness and sincerity only to be drawn into compromise and betrayal a la 1980’s Carolina Knights of the KKK leader Frazier Glen Miller who now awaits execution on death row for the murder of three individuals at the Overland Park Jewish Community Center on April 13, 2014 in Overland Park, Kansas. Suffice it to say that whether the July 8th KKK rally was the direct by-product of undercover mischief and manipulation, it was clearly of benefit for those who seek to discredit the racialist message as a whole. As the August 12 “Unite the Right” rally began to take shape, 33 year-old University of Virginia graduate Jason Kessler emerged as the principle organizer of the event. Mr. Kessler had, quite obviously, done a highly efficient job of bringing this much-anticipated and highly publicized event to fruition. His skills as an organizer as well as his ability to articulate the purpose of the looming landmark occasion were frequently manifested in the two month long lead-up to what exploded onto the national stage on August 12th. 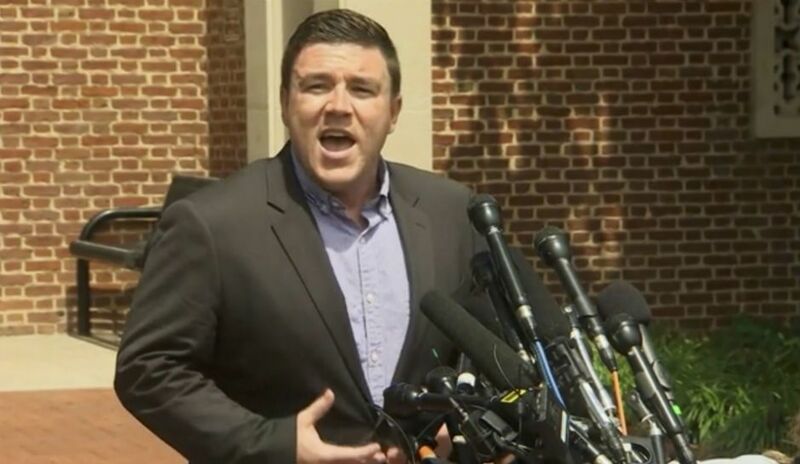 Jason Kessler is a young man whose story and metamorphosis is similar to a great many of his contemporaries. Coming of age in an extremely turbulent and pivotal hour of history has apparently led him through a series of epiphanies and awakenings that eventually brought him to the doorstep of that ultimate verboten subject of race realism. Charlottesville represented his baptism by fire as he now stands at the epicenter of a maelstrom of controversy and emotion-laden fallout. In a matter of days Jason Kessler has been assaulted and prevented from holding a peaceful press conference by an insane, hate-filled mob...has been hit with a $3 million civil lawsuit seeking to hold him responsible for the mystery-laden event wherein 20 year-old protest attendee James A. Fields drove a 2010 Dodge Challenger into a celebratory throng of leftist counter protesters...and has been shoe-horned into being perceived by the ignorant masses as the ultimate contemporary symbol of villainy and evil. Although I don’t know him personally, my gut instinct is that Kessler is genuine to the core and it is only hoped that he will emerge from this fiery trial with added layers of maturity, strength, and resiliency! For those who theorize that he is somehow acting as a complicit operative on behalf of those who staged Charlottesville as a gigantic psy-op exercise, I would respectfully and logically disagree. While the police stand-down and its multi-faceted catastrophic consequences were most definitely indicative of sinister and diabolical machinations of a criminal, conspiratorial nature...the Charlottesville event itself was almost certainly organic in its origins and genuinely carried out by the vast majority of its pro-Confederate participants. And About That Torchlight March? 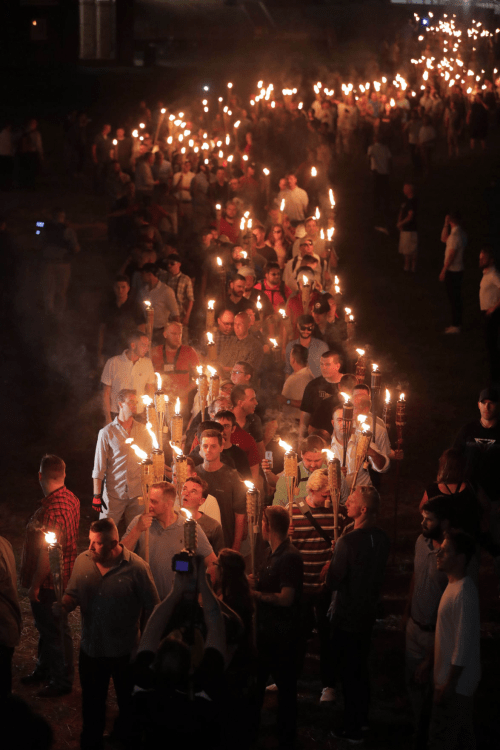 The torchlight march by hundreds of young white men across the University of Virginia campus on the night of August 11th was perhaps the most enigmatic aspect of the entire Charlottesville saga. The visual effects of this propaganda event were stunning, to say the least. On the negative side of the coin, the obvious comparison to the Nazi torchlight processional at the hour of Hitler’s formal ascension to power simply cannot be ignored or mistaken. At the same time, however, the spectacle of this burgeoning, symbolic exhibition of fearless, brash, in your face strength and virility was both calculated and effective in sending a spine-chilling message to the avowed enemies of white Christian manhood. Yes...it is well documented, historical fact that the enemies of all that is foundational to Western Christian civilization have nothing to fear even remotely the equal of the wrath of the awakened Saxon. As was long evidenced on the dark continent, a determined, miniscule minority of principled white men can easily maintain hegemony and order in the midst of teeming multitudes of non-whites. Even the tiniest ripple of the visual reminder of this reality is sufficient to send the forces of treachery, subversion, and evil into a state of abject terror. Thus, the torchlight parade was, in part, a useful exercise in psychological warfare. Ideally, it should have been done in conjunction with a proper disclaimer relative to 20th century Nazism and all its attendant, negative characteristics. It will be most noteworthy and significant, going forward, to discover precisely who or what was the moving force behind the tactical decision to execute the unannounced torchlight parade. On August 12th hundreds of pro-Confederate protesters sought to peacefully assemble at the location of the statue of Robert E. Lee that is facing imminent removal at the hands of government officials. The permit for the assembly had been properly secured well in advance of August 12, only to be cancelled by the city at the eleventh hour. On Friday, August 11th, U.S. District Court Judge Glen E. Conrad ruled that the actions of officialdom were in violation of the First Amendment protections of free speech and peaceful assembly. To underscore how obvious and undeniable the basis for this ruling is, the American Civil Liberties Union actually stood in advocacy for the reinstitution of the event permit for Saturday, August 12th. At this point in time Virginia and Charlottesville authorities had but one responsibility. Their solemn and sacred obligation was to simply make adequate provision for the “Unite the Right” pro-Robert E. Lee statue protest event to proceed with orderliness and safety. Of course, there is absolutely no question, whatsoever, that these professionals in both the realm of governance as well as law enforcement are fully capable of such an exercise in efficiency and performance. In fact...we are talking about methods and tactics in Crowd Control 101 and nothing more! Event organizer Jason Kessler had been in extensive communication and cooperation with authorities for the entire time leading up to the protest date and had been repeatedly assured as to the intent and determination of law enforcement to maintain order and the rule of law. Antifa operatives wear masks and routinely engage in acts of violence against those whose rights they are determined to violate and eradicate. They will unhesitatingly resort to whatever measure or method of violence and intimidation that can be gotten away with in any given theater of operation. 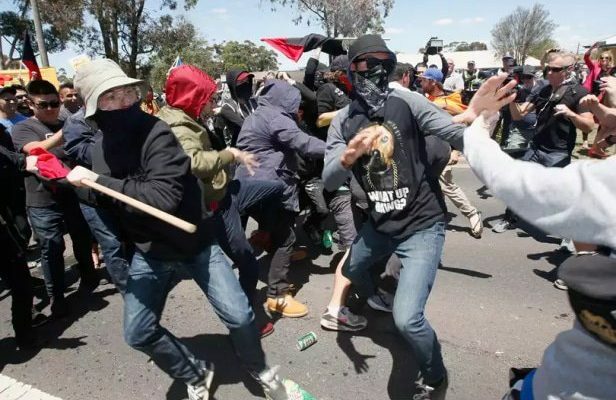 Mace and pepper spray are standard operating procedure for Antifa as are baseball bats, urine and feces-filled balloons, frozen water bottles, bricks, and even knives. When Richard Spencer spoke at Auburn University in April of 2017, the police performed their required duty in an effective manner. They required Antifa to remove their masks and made sure that the anti-Spencer mob (which was laced with Antifa operatives) remained separated from Mr. Spencer and his entourage of supporters and would-be defenders. Apart from a few skirmishes, the Auburn event proceeded and concluded with minimal violence and physical injury. Of course, it was the minions of Antifa that instigated the few instances of violence that transpired despite the overall effectiveness and professionalism of the police. Toward the end of April another public event took place in downtown Pikeville, Kentucky. As had been the protocol and policy at Auburn, law enforcement in Pikeville kept the opposing forces physically separated, and violence and injury were avoided as Antifa forces were prevented from launching their customary violent assaults upon those whom they writhe with visceral hatred toward. 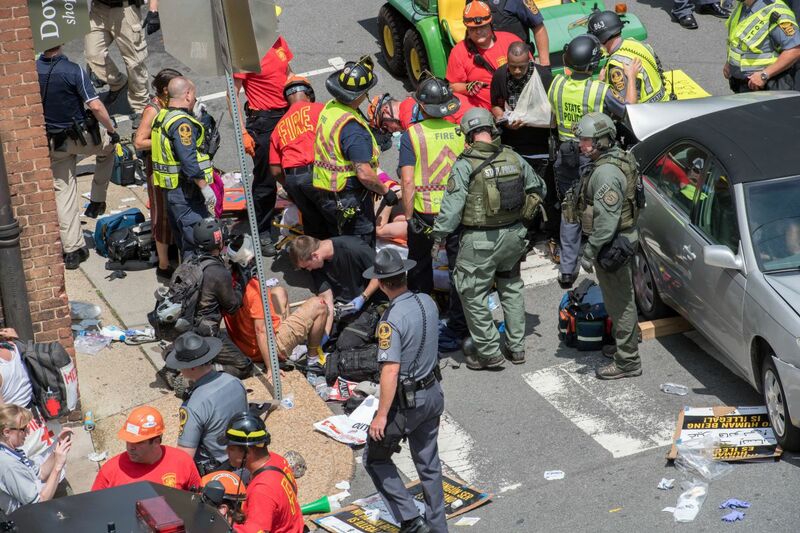 On Saturday, August 12th, it quickly became obvious that those calling the shots politically and administratively in Charlottesville, Virginia were not only devoid of intent to prevent violence and bloodshed...but rather desired the same to the maximum degree possible. Such a shocking and unfathomable reality was clearly evidenced by a total stand-down policy on the part of the police, as well as premeditated tactics by law enforcement that were obviously intended to put the permitted protesters in lethal jeopardy and danger! Astonishingly, the permitted protesters were required to gain entry to the protest site by force. Antifa and their fellow travelers were allowed and even encouraged to menacingly block the only entrances whereby the protest location could be accessed, thereby forcing the permitted demonstrators to literally fight their way to the location of their intended peaceable assembly. But the worst was yet to come! 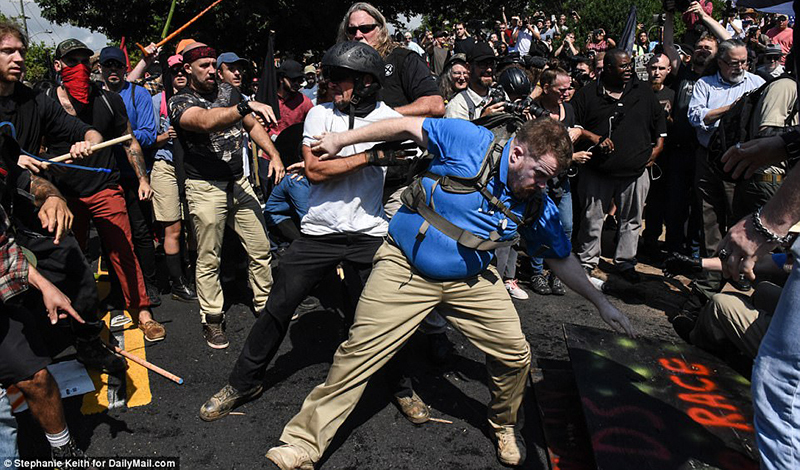 Once the pro-Confederate contingency successfully ran the gauntlet and took up their lawfully permitted position at the Lee statue, they came under siege and coordinated assault by the violent Antifa-led opposition forces. Extensive amounts of pepper spray, mace, potentially lethal projectiles, urine and feces-laden balloons, etc. were simultaneously and relentlessly brought to bear against the lawfully permitted protesters resulting in scores of serious injuries and instances of incapacitation. Hoping for the best but preparing for the worst...certain elements of the pro-Confederate contingency were decked out in defensive gear including shields and helmets. As these more organized and prepared factions came under attack and proceeded to fight back, they unavoidably provided the optics and imagery that would be disingenuously and deceptively portrayed as though they were somehow the aggressors! The pro-Confederate band was informed that the event was being declared an unlawful assembly and that any who refused to leave would be arrested. When various stunned protesters inquired as to how they were expected to comply with this edict, the police menacingly and sadistically pointed toward the rabid Antifa forces who were now blocking egress just as they had previously obstructed ingress to the park. At this time the riot police actually began discharging mace upon the lawful protesters and kicking them in the shins as a means of forcing them into the Antifa-directed gauntlet. Courageously and gallantly, the pro-Confederate protesters fought their way out of the park at which time they had to grapple and contend with the dangerous circumstances into which they had been forced. Even the most organized and defensively equipped among the legitimate, permitted protesters now faced perilous and potentially life-threatening conditions as they sought to make their way safely to areas from which they had staged their earlier approach toward the official protest location. Most significantly, it was into this cauldron of deliberately engendered chaos and violence that many panic-stricken individuals doubtlessly had to enter and traverse. One can only imagine how such an individual as James A. Fields might have made his way through the spectacle of unchecked mob violence to ultimately arrive at the location of the vehicle that would enable him to escape roving bands of masked, Antifa thugs. And then, quite possibly, to his horror and dismay...he makes a turn that leads him into a log jam created by jubilant criminal anarchists who have triumphantly succeeded in overthrowing the Constitution and the rule of law. At this time his vehicle comes under attack by a bat-wielding Antifa goon and from that point in time, God only knows what might have overcome this isolated, terror-stricken young man. One thing is certain, however, and that is the obvious reality that this was not a willful, conscious, premeditated act of murderous proportions. Likewise, it is patently obvious that the young man in question is being demonized and subjected to the epitome of a “rush to judgment” process in the utter absence of objective evaluation of evidence and mitigating factors. It is an age-old component of Marxist, revolutionary protocol to elevate a martyr figure as a seemingly legitimate symbol of their otherwise warped and twisted agenda. The lone fatality of the tragic event involving James A. Fields was promptly exalted and portrayed as a martyr for the cause of the terroristic, Antifa-led counter protesters. 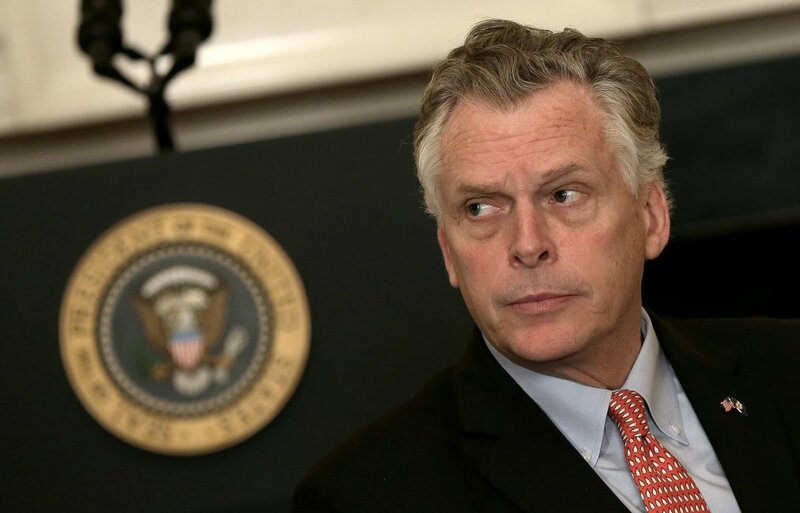 In reality, responsibility for this death lies squarely at the feet of the governor of Virginia, the mayor of Charlottesville, and everyone else who was simply following orders from on high to be derelict in their duty and allow life-endangering chaos, violence, and anarchy to reign supreme. Should the Justice Department Launch a Civil Rights Investigation? Absolutely! Their proper target, however, should be Governor Terry McAuliffe, Mayor Mike Signer, Police Chief Al Thomas, and all others who were complicit in the systematic deprivation of the rights of all the white, permitted protesters who made great sacrifices to incur danger and stand courageously in defense of their own sincere and sacredly held convictions and beliefs. Yes...these high-ranking officials and the police who became their mercenary henchmen truly deserve to be charged as the life-endangering criminals that they are, even though we know fully well that such proper and legitimate action will never happen. It is probably a blessing in disguise that Attorney General Jeff Sessions will be exposed in his cowardice and doublemindedness as he proceeds to leave no stone unturned in building a meritless case against those who are actually themselves the victims of the aforestated conspiring criminals. All manner of time and effort will doubtlessly be expended to review film footage of “Nazis” violating the “civil rights” of non-white “counter protesters” while, with a few token exceptions, the violent Antifa thugs will, as usual, enjoy the unconscionable benefit of selective justice and de facto legal cover. To his credit, Donald Trump has sought to place some blame and criticism upon the left for what transpired on August 12th in Charlottesville. He has failed utterly and completely, however, to address the blatant reality that official policy and action bear the ultimate responsibility for the violence and loss of life that has transpired. The President has falsely stated that the pro-Confederate protesters came to Charlottesville with violent intentions when, in truth, their posture was merely one of determination to engage in actions of self-defense. This not being their first rodeo, as the saying goes, they were keenly aware of the potential need to enter into defensive maneuvers in the event of a breakdown of law enforcement performance. As it turned out, the police completely abdicated their fundamental responsibility to maintain law and order and, in so doing, sought to make the permitted protesters the hapless prey of ravening wolves and jackals. Trump has failed to even scratch the surface of this ugly truth but has nevertheless incurred the insane and irrational wrath of a torrent of bipartisan condemnation for his refusal to jump on the lynch mob bandwagon against the so-called Alt Right. 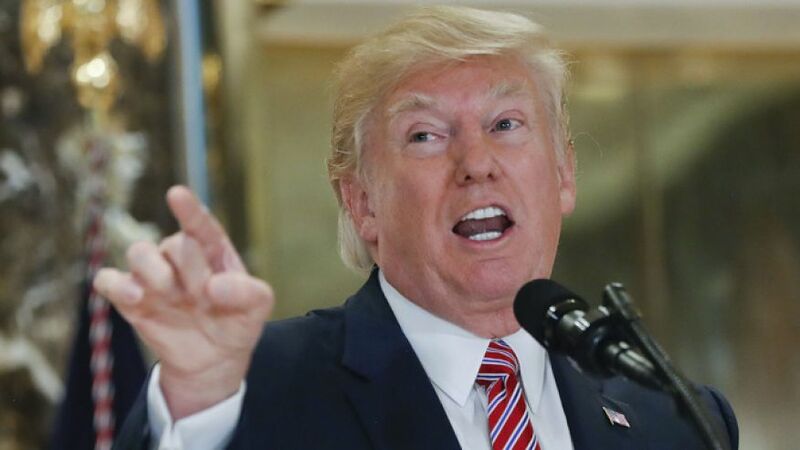 At a post-Charlottesville press conference that utterly enraged the leftist, controlled, fake news media, the President not only refused to walk back his initial statements regarding the dramatic events of the previous Saturday, but proceeded to expand upon the overall subject. Among the profoundly important points he emphasized were that factions among the “counter protesters” had come to the event both armed, as well as intent upon perpetrating unprovoked violence. He also briefly alluded to the fact that militant forces would soon be demanding the removal of the statues of George Washington and Thomas Jefferson. In referencing this point, Trump was touching upon the stark and glaring reality that the nation is now facing. Once a rabid, radical, violent, revolutionary minority is allowed to begin destroying the statues, landmarks, and symbols of a nation and culture...the slippery slope leading toward destruction has indeed been embarked upon. The barbarians who are crashing the gate and storming the castle in their hell-bent crusade to dismantle the super structure of western, Christian civilization have scarcely a clue as to the sacred and majestic nature of what they are tampering with and seeking to tear down. The authors and architects of our civilization were members of the Caucasian race exclusively. For generations on end it was considered to be self-evident and indisputable that the survival and preservation of America and western civilization as a whole was fundamentally contingent upon the strict maintaining of a white super majority. Prior to the age of race-denialism, it was readily understood that individual races were reflexively inclined toward specific tendencies and characteristics. The Caucasian race has the unique distinction of having brought forth the advanced, cultured civilization that everyone wants to capitalize on and exploit. Until the mid-1900’s white, western civilization was largely successful in maintaining its demographic foundations and parameters. The latter half of the 20th century brought with it landmark deviations from the methods and precepts upon which western, Christian civilization had been established. Step by calculated step, America and Europe, as a whole, were gradually and cunningly subverted until we arrived at the current precipice from which we now stare into the abyss. In the wake of Charlottesville, the enemies of traditional America are wasting no time in moving to accelerate their horrific agenda. To draw an appropriate parallel to the 8th chapter of the Gospel of John, “They are of their father the devil and the lusts of their father they will do.” In their warped and sin-sick minds the path to conquest is emblazoned before them. White, Christian America must be destroyed, and the obvious next step toward this objective is to flush all evidence of America’s true history and nature down the Orwellian memory hole. The powerful and legitimate monuments, statues, and symbols of our glorious history must be torn down and spat upon. Though the Confederacy was ultimately vanquished in a murderous campaign of scorched earth, genocidal warfare...its spirit of defiance and virtue lives on in the monuments to its heroic leaders. Men such as Robert E. Lee, Jefferson Davis, Stonewall Jackson, and Nathan Bedford Forrest are the greatest of America’s heroes and role models. By comparison, those who advocate for the removal of their statues are the equivalent of human excrement...not even worthy of the task of carrying their shoes. If white, Christian America fails to heed the warning of this frontal assault upon the integrity and reputation of their towering, Spirit-led ancestors...they will truly deserve the hellish fate that inevitably awaits them. Yes...the post-Charlottesville world is fraught with imposing and profound implications. The enemies of our race and faith smell blood...and their appetite for the same will only increase in the coming weeks and months. Those who are called from on high to resist this insane, unbridled juggernaut of evil must leave no stone unturned in their effort to wage war on behalf of the restoration of righteousness and truth. The future of white, Christian America appears bleak and ominous. As we consecrate ourselves for battle against the minions of hell, may we derive inspiration from two axiomatic truths. 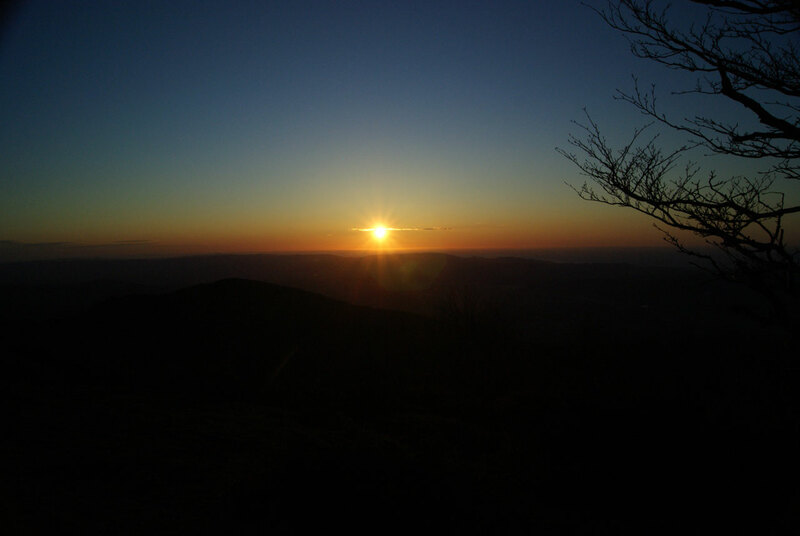 They are as follows: It is always darkest before the dawn...and with God all things are possible. While not as sure about Mr. Kessler as you seem to be, you have written an excellent article with much Truth in it. I hope and expect Prez Trump to do something to stop this "antifa" thug activity very soon. He must know that it is Jew Soros who is ultimately providing the funds for all this criminal activity? It is good to hear from you again. GOD bless and keep you.